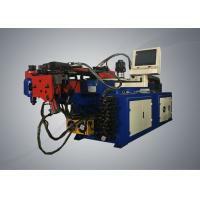 CNC pipe bending machine is mainly used for electric power construction, public railway construction, boiler laying, bridges, ships, furniture, decoration and other aspects of pipe laying and repair, which has many functions, reasonable structure, simple operation, easy movement, quick installation and so on. 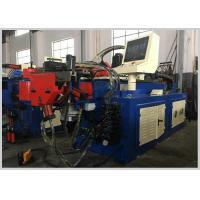 The machine can also use oil pump as a hydraulic jack. 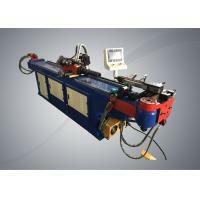 CNC pipe bending equipment has the advantages of low price and convenient use, and it occupies the leading position in the domestic bending machine market. 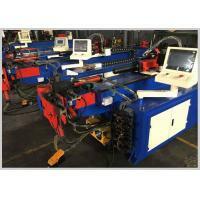 CNC pipe bender can bend the pipe under cold state (single mode) or two bend radius (double modes). 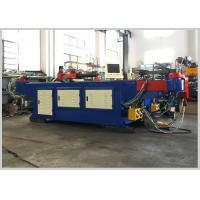 It is widely used in the bending of various pipes and wires in the automotive and air conditioning industries. 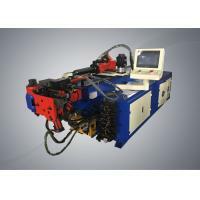 This machine can bring about automatic mandrel or coreless type fast bending. It has advanced functions of revising the pipe bending compensation, alarming for the fault signal, power-off memory, automatic lubrication as well as safety protection. 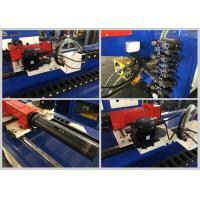 Bend (C axis), turning tube (B axis) and tube feeding (Y axis) are closed loop servo control. 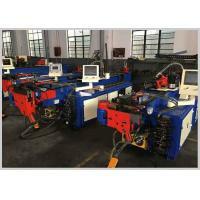 The advanced technology, degree of automation and the reliability design of the machine are world-class pipe processing equipment. 1. 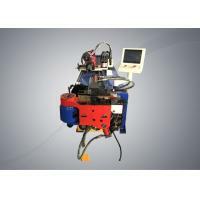 Material feed axis will automatically detect itself before its operation to avoid the clash with machine. 2. Decomposition action can be collected at the time of actual bending so as to observe interfere points, amend movement and improve efficiency. 3. 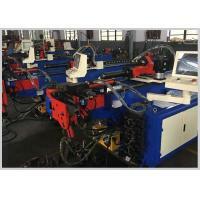 Automatic recognition of power in machine work piece, processing both quick and good. 4. Slow returning core, boosted by barrow, improving the appearance of the angle. 5. Display of the whole process of operation in Chinese or English, and 15 inches true color monitor and touch screen to make simple, quick and correct programmes. 6. Rebound test, comparison test on the features of lots of pipe materials. 7. Single step debugging function, a careful observe on the deformation of the pipe material during the trail manufacture of dies. 8. Over-all inspection, hydraulic/electrical circuit/driving systems, absence of phase in motors/inversion, voltage, temperature, oil pressure and automatically diagnose the troubles. 9. Passwords, keys, working hours and recordings of quantities are applied to management of production. 10. The servomotor drives the flexure arm to accelerate the movement speed, and at the same time obtains rapid acceleration and rapid deceleration, as well as high torque. Precious and heavy-duty linear rolling bearings are used on the press-contact, pressure-touch boost system and centerline radius adjustment system. 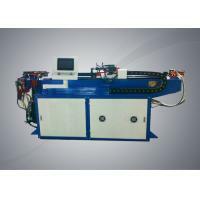 Recommended application industry: CNC pipe bending machine is the bending processing equipment for the application of aerospace, automobile, locomotive, motorcycle, ship, ship, petrochemical, electric power, natural gas, nuclear industry, boiler, vehicle, fitness equipment, sports goods and other fittings.